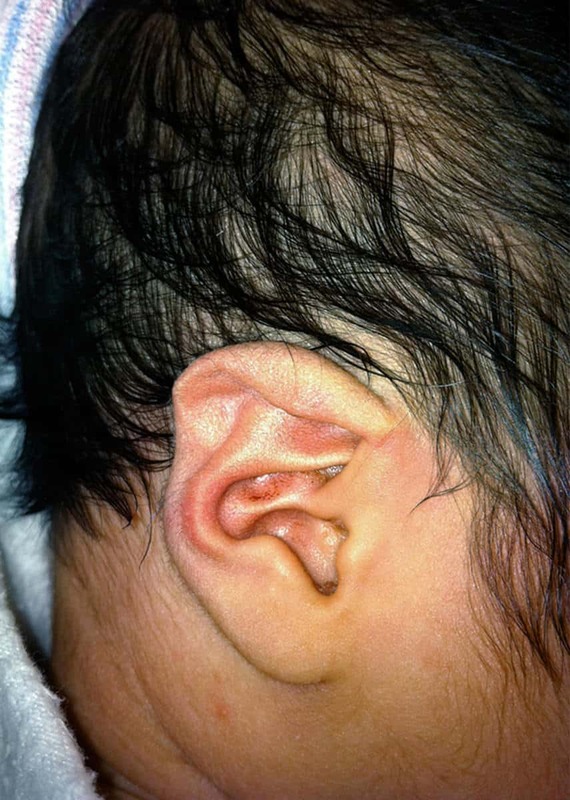 AAlthough the majority of newborns are born healthy and with no ear abnormalities, occasionally an abnormality exists. 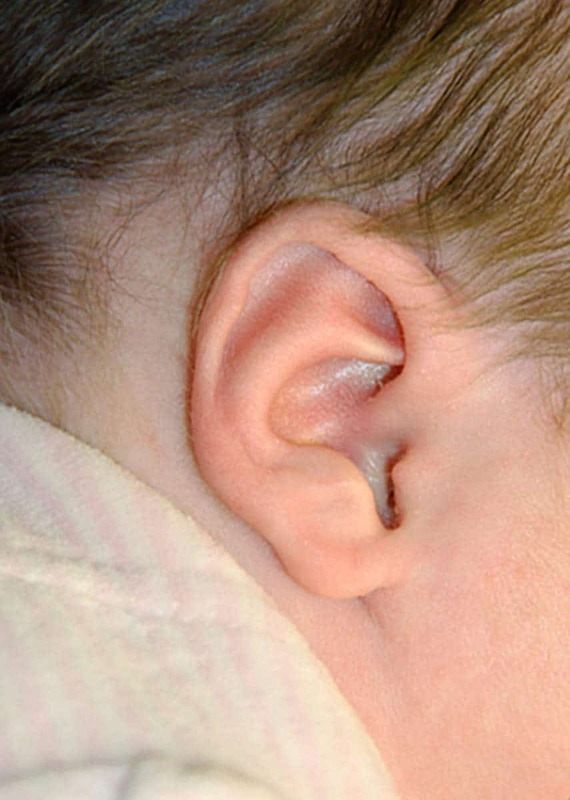 Fifteen to twenty percent of all infants are born with an ear deformity. Of these deformities, thirty percent are expected to self-correct, but there is no scientific way to know which ones will improve. Without early correction, many children will undergo otoplasty, corrective ear surgery, when they are five or six years old. 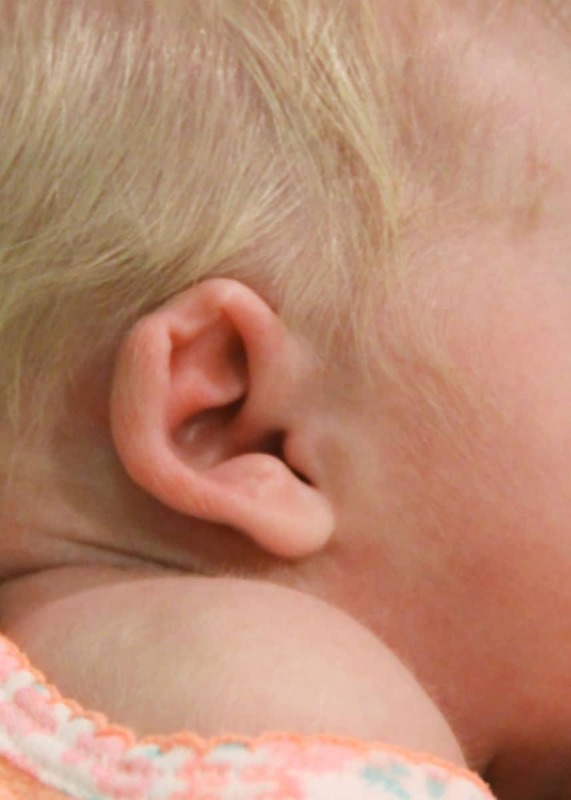 Fortunately, we now have a simple, non-invasive option to correct ear abnormalities, the Earwell Correction System or ear molds for babies. 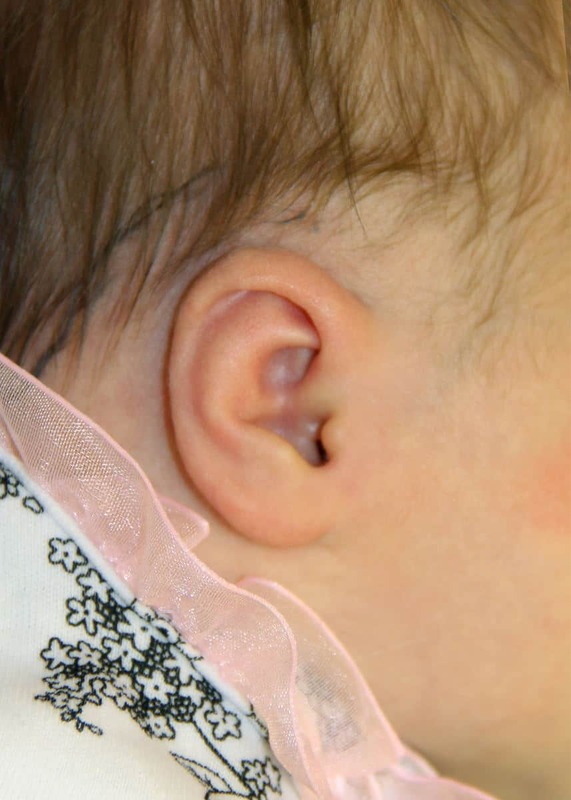 In 2010 at New York-Presbyterian Hospital-Cornell, I introduced ear molding for infants to the pediatric community. During the last decade of The Newborn Butterfly Project, I have treated hundreds of children with various deformities, documenting my landmark results in the plastic surgery literature. By using this device, I have witnessed a high level of satisfaction from parents and impressive improvements in the deformities; softening the curves of the ear by re-contouring cartilage. Through innovation, I have had an opportunity to truly make a difference in children’s lives, helping to decrease the bullying that many children with ear deformities face and eliminating the need for invasive surgical correction later in life. 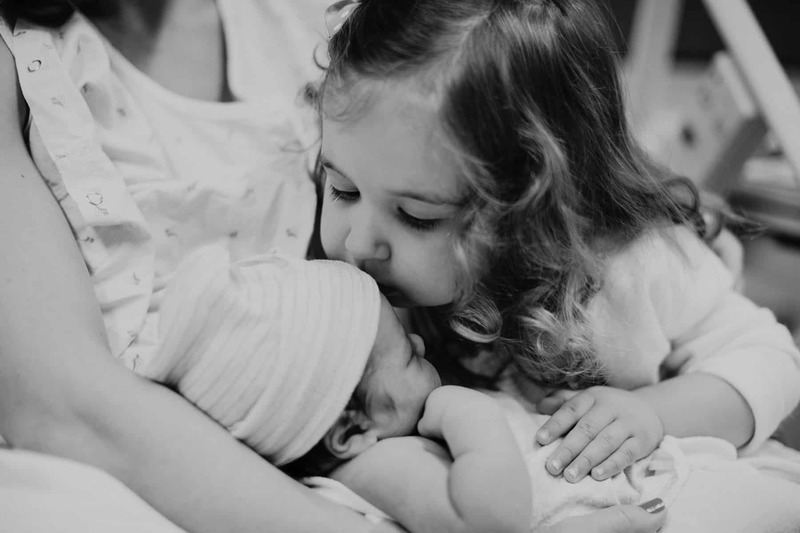 Infants are born with high levels of estrogen in their bloodstreams, which peaks at day three of life. This elevated estrogen increases the ear cartilage’s plasticity, creating a privileged period during which the ear can be molded into the correct position. 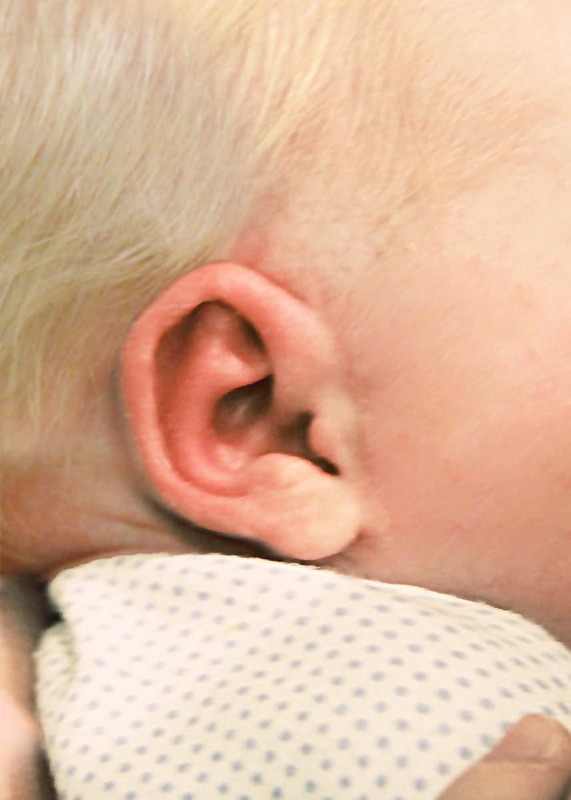 While ear molding has been taking place for centuries, the technique has traditionally been less effective in correcting deformities. 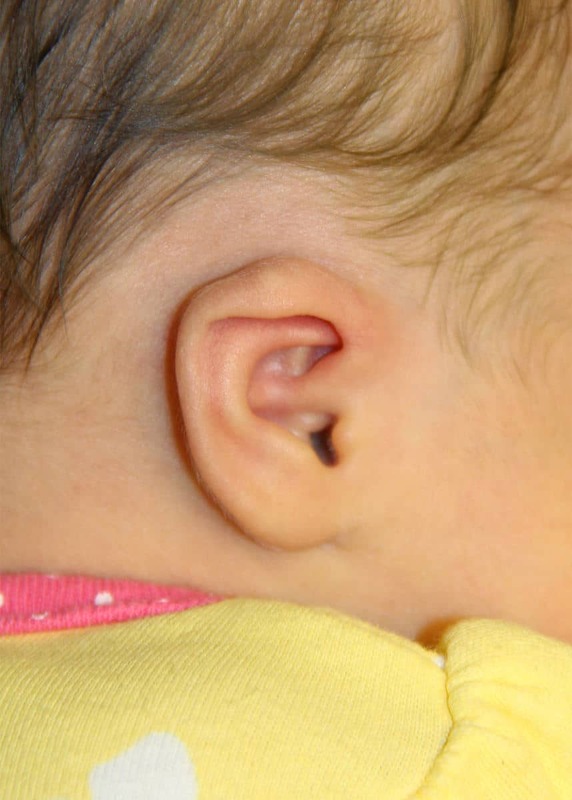 Until recently, physicians had advised new parents to use dental paste, feeding tubes and paper tape to make a hodge-podge of a mold that could reshape their baby’s ears. However, this placed the onus of shaping the ear on the baby’s parents, who can be overwhelmed with caring for a small child. The makeshift mold also wiggled and shifted so the ear was not continuously being folded into the correct position, elongating treatment times. 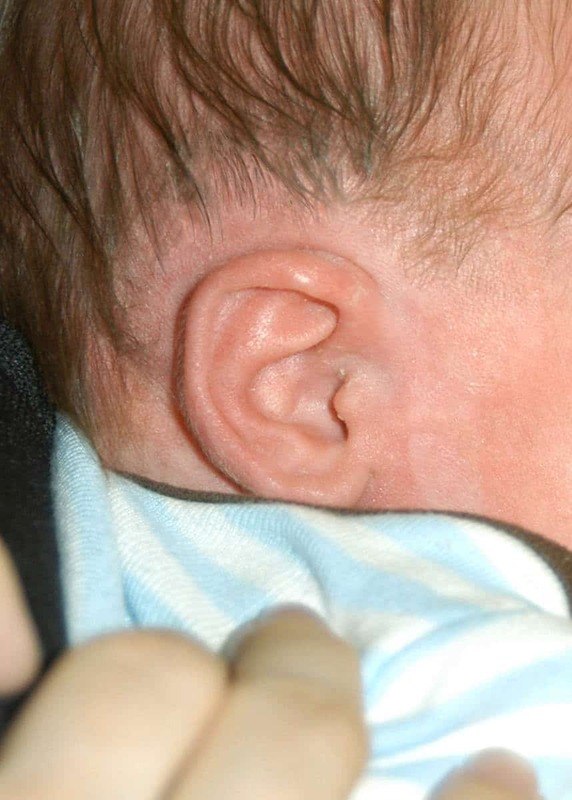 The EarWell device, released in 2010, changed ear molding forever. 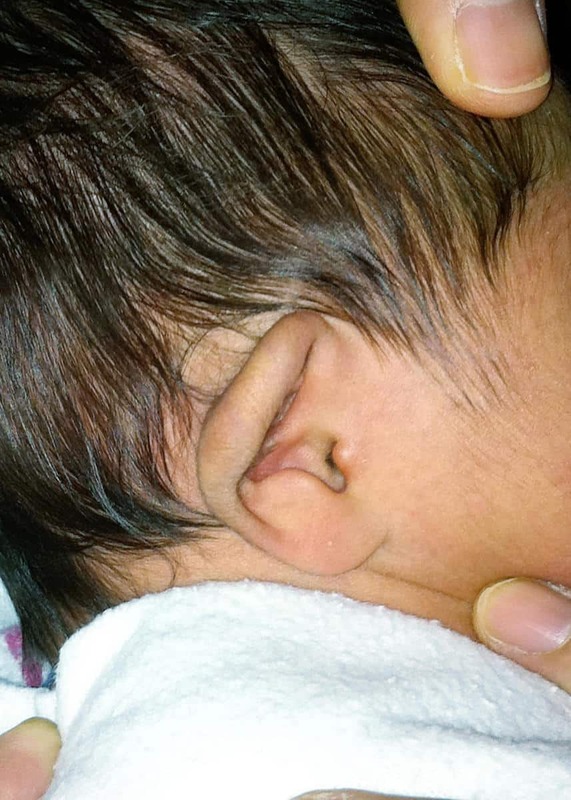 The EarWell is a small cradle that holds the ear in the perfect position so that parents do not have to do anything. Parents can leave it on and not even have to think about it. 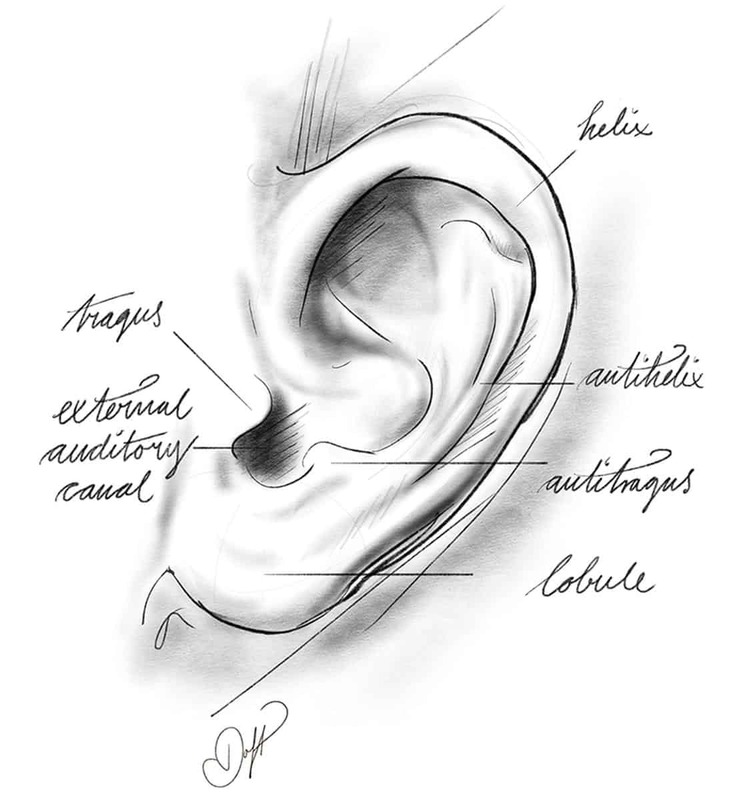 It applies pressure to the ear to conform it to a more natural anatomy throughout the day and night. 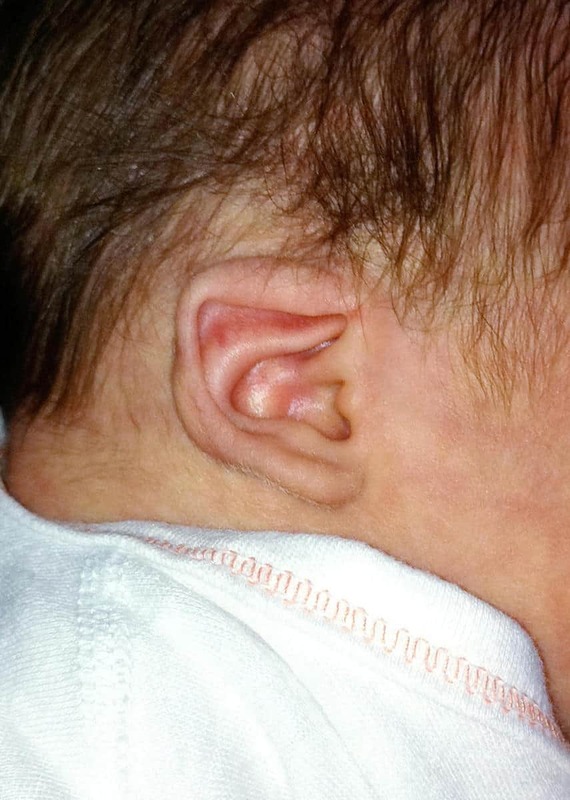 Once estrogen levels return to normal — when infants are about six weeks old — using non-surgical means to fix deformities becomes less reliable, causing infants with ear abnormalities to wait and have ear surgery later in life. Many children have the surgery, called otoplasty, later in their childhood, but like all surgeries, it is associated with pain and some risk, including infection, hematoma and anesthesia-related complications. With otoplasty, there is also a twenty percent chance that the deformity will reoccur if the stitches break. The EarWell’s higher success rate and pain-free process make it a more attractive option for parents. In fact, changes to the soft curves of the ear and elimination of certain ridges can often be better corrected using molding. In the first hundred babies that I treated with Earwell, over 95% of deformities were corrected. 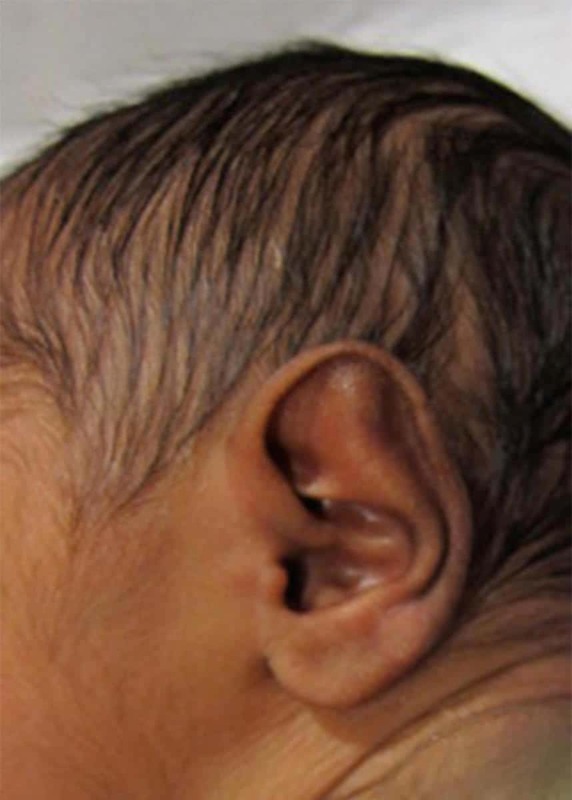 During this study, infants from the newborn nursery were referred directly to my practice in their first few days of life, when ears are characterized by greater plasticity. I found that the process was nearly fail–proof, with a 96 percent success rate, and attributed these outcomes to the young age at which intervention was initiated and the sturdy mold. 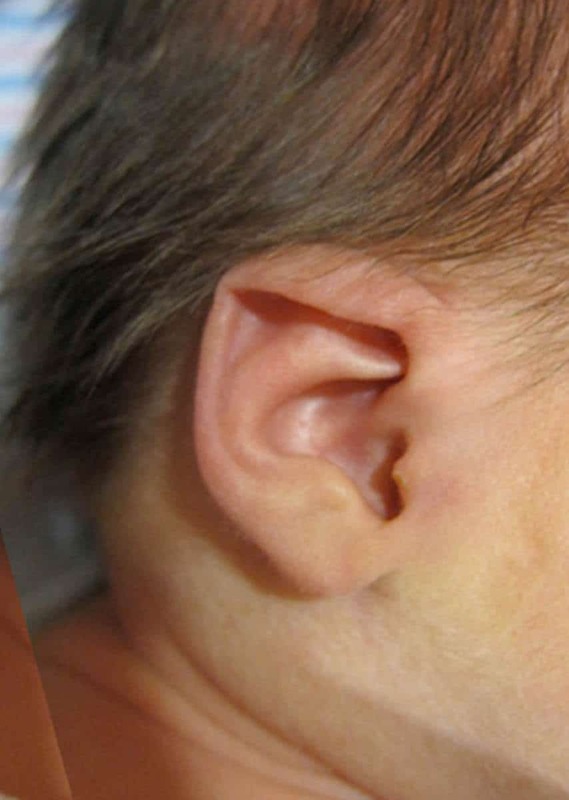 More exciting, the pain-free and non-invasive procedure can effectively transform the ear shape in two weeks, compared to the six to eight weeks doctors have historically advised; representing a breakthrough in how we treat ear deformities. When surveying the parents of my patients, none found the treatment difficult or uncomfortable for the baby. One hundred percent stated that they would repeat the procedure. The results of this study were presented at the Academy of Pediatrics, national and international plastic surgery conferences, and are detailed in the Plastic and Reconstructive Surgery Journal. 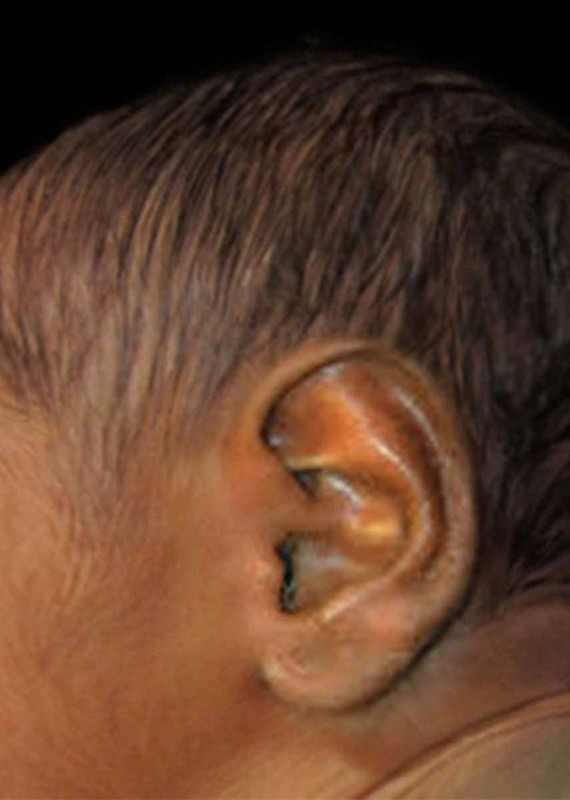 I have named my research the Newborn Butterfly Project because abnormal ears are coaxed through a natural metamorphosis, similar to how a caterpillar becomes a butterfly. The procedure is pain-free, does not impact the baby’s ability to sleep and does not affect mothers’ ability to breastfeed. 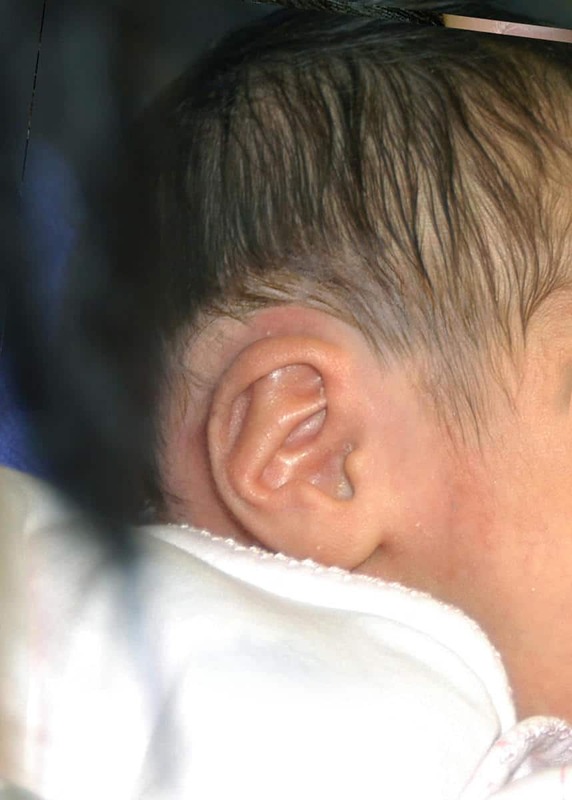 The device is perforated, so the babies can hear perfectly. You can breastfeed with it. The only limitation is that you need to try not to get the mold wet because it is attached to your baby’s skin by an adhesive. Otherwise, you treat the molds as if your baby is wearing little earmuffs. 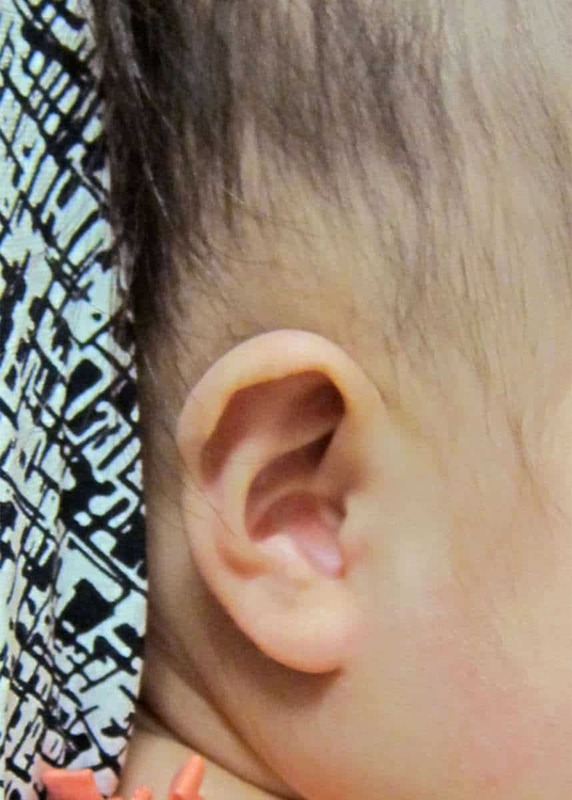 While ear correction is typically cosmetic, early intervention and ear molding with the EarWell is often covered by insurance because it is considered a congenital deformity.